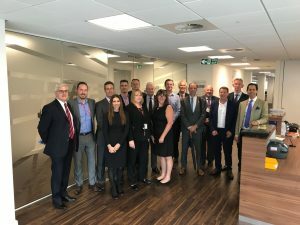 The Rail Supply Group has formed a Council specifically made up of SME’s in the UK rail industry. This is in recognition of the significant impact that SME’s have on the wider UK economy and more specifically to the rail industry. The RSG SME Council conducted a workshop on 2nd August 2017 to identify and discuss the SME’s contribution to the debate on a sector deal to be put to the Government on behalf of the entire UK Rail industry. This “Rail Sector Deal” is an opportunity for the Government and the supply chain to engage directly to shape the future direction of rail investment and delivery. The aims are to achieve alignment between the Government and the supply chain to deliver improvements in productivity, innovation, customer satisfaction and value for money. Success will inevitably lead to higher employment in the sector, increase in exports, sustained investment in skills and economic benefits for the UK as a whole. Anna Delvecchio from Amey and the RSG lead presented progress to date on the development of the “Rail Sector Deal”. The RSG SME Council under the leadership of its’ Chair Simon Higgens, CEO of ISS Labour Ltd, developed a number of themes to which SME’s can contribute around Technology & Innovation, Customer Experience and Sustainable Railway and identified the benefits to the Rail sector as well as the UK economy. SME’s in the UK offer a value adding capability to the sector that can establish a new and dynamic way forward to strengthen the domestic market and grow exports. Proposals are being formulated to demonstrate how SME’s can deliver unrivalled customer experience using technology, innovation, reliability, capacity, cross sector collaboration, skills legacy and sustainable solutions. This compelling case is being developed to make a substantial contribution to the Government’s agenda in the forthcoming discussions between the Government and the supply chain. SME’s form a key part of the rail sector and can help deliver a transformative ‘world leading’ transport network and create a UK transport brand that can be exported across the world. Listed below are the 24 companies represented on the RSG SME Council and a photo of some of those representatives present on 2nd August 2017.